18 Wheels Is Gearing Up For 2010 !!!! 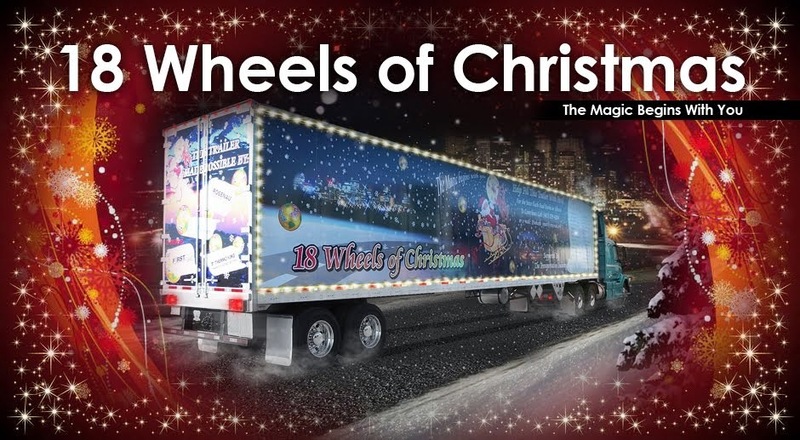 The 2010 holiday season is fast approaching, and the 18 Wheels of Christmas program is getting ready to begin rolling! Once again, we are looking for help to fill our trailers and support your local food bank. Rosenau Transport has donated another trailer to this amazing program which will service the Saskatoon region, which saw a very successful food drive completed in 2009. With the help of the Transportation Industry, local businesses and citizens of Saskatoon and sponsors like Kast Logistics and Fountain Tire, we are hoping to fill the local Food Banks in Saskatoon. This new trailer will help and provide you with more opportunities to see the trailer and your company name rolling along. A small donation of $500 or more, will get your company name on one of the 18 Wheels trailers for a year. It is our way of recognizing those that help their local communities and to say thank you! We look forward to a very successful 2010 and to give back to the communities that give so much to us. As always, you can drop off your donation at your closest Rosenau Transport branch or we can come to you!